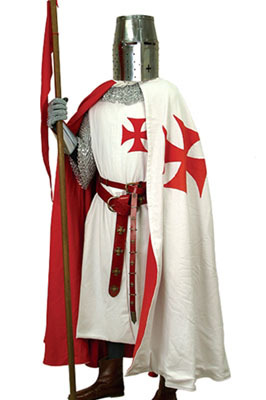 This long Knight's Templar cape (matching tunic available) is one of the heaviest and most elegant we have ever offered. The stark white color is offset with a large red cross on the left side, while the interior boasts a matching red lining. Heavy cotton with corded tie. One size. Dry clean only.